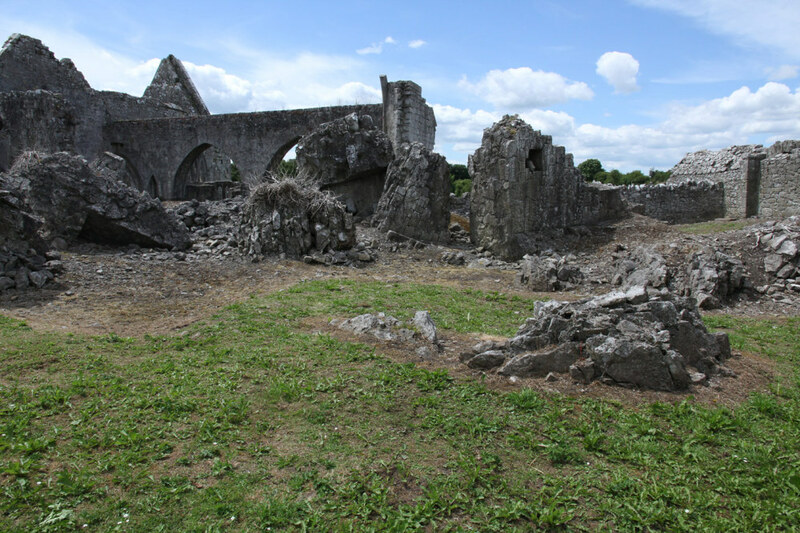 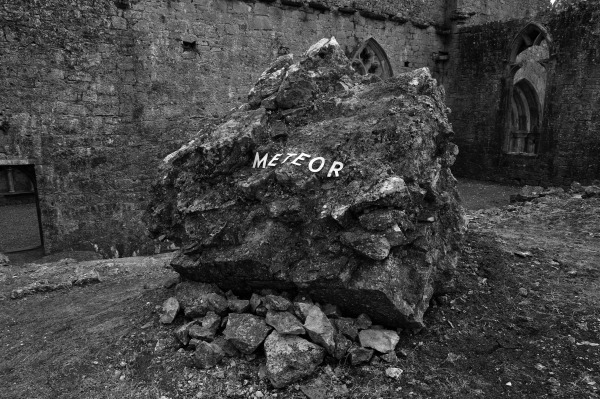 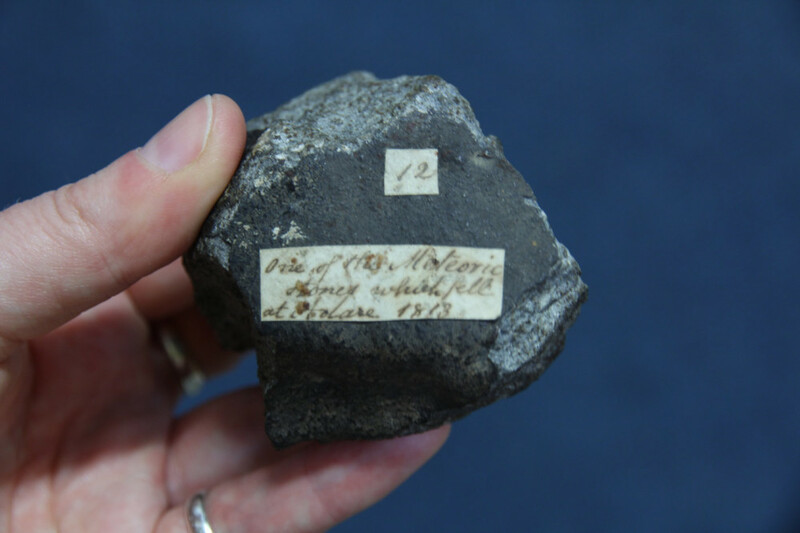 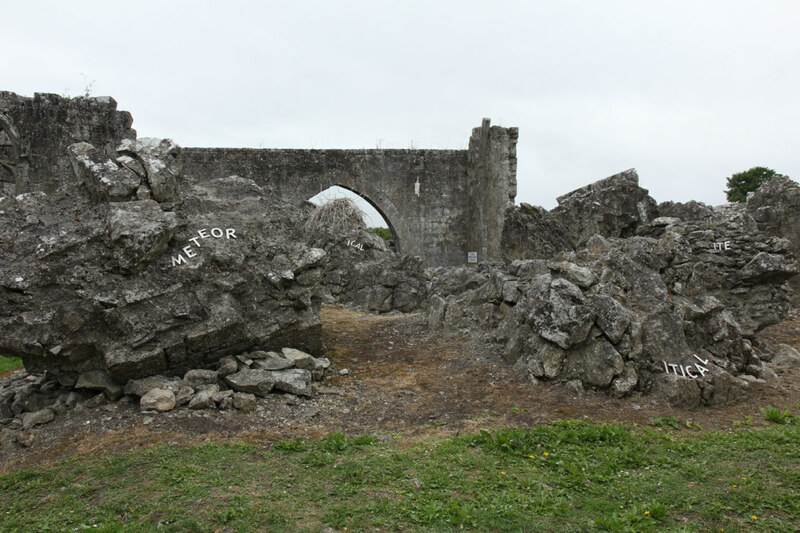 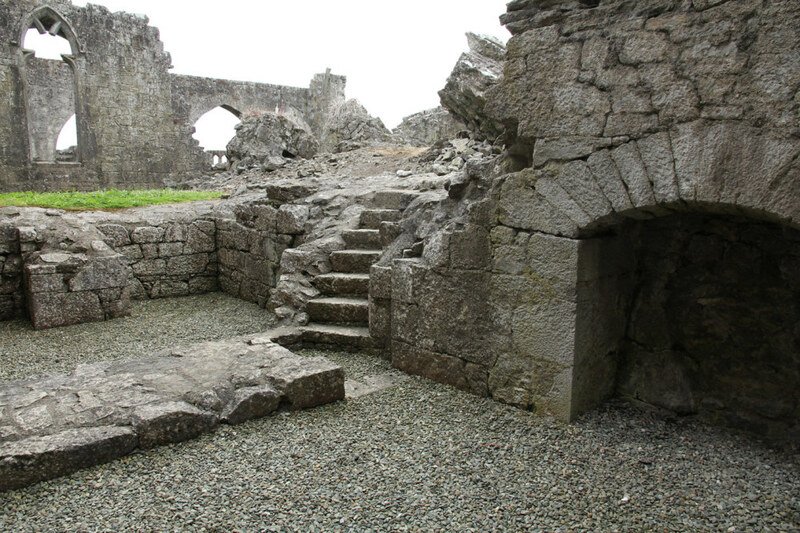 Inducing a psychedelic cosmic sensation to Askeaton’s famous Franciscan friary ruins IC ITE OID interweaves Aldous Huxley’s seminal 1954 novel The Doors of Perception with newspaper accounts of the Limerick Meteorite Fall of 1813. 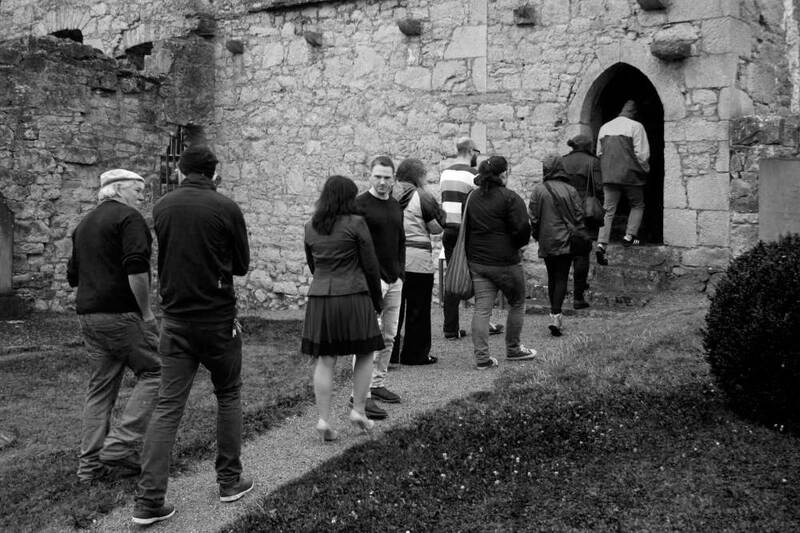 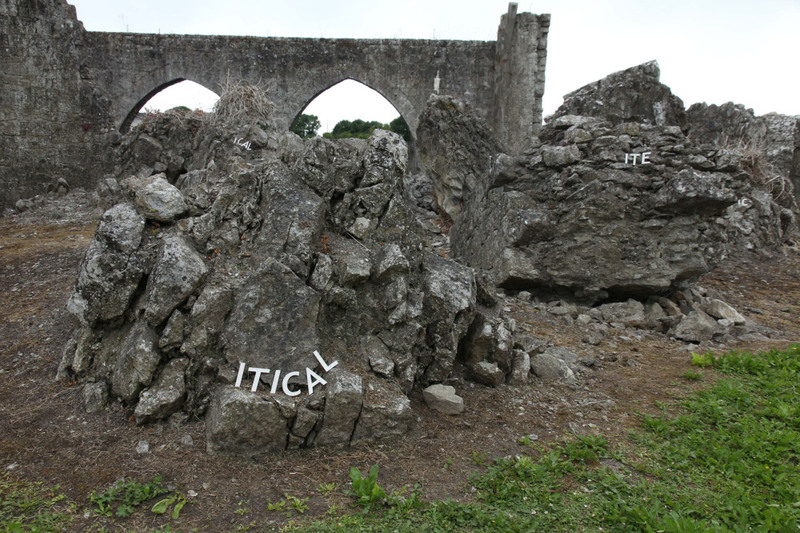 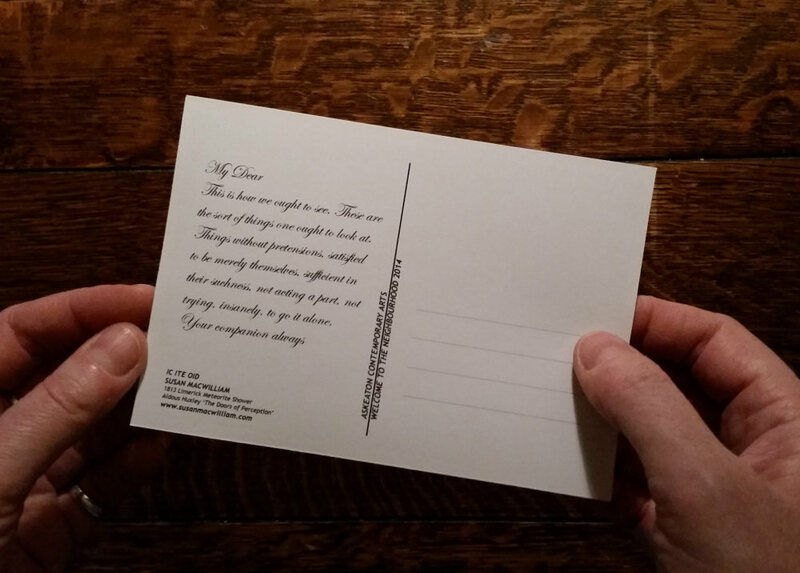 IC ITE OID is a live site-specific sculptural and audio work (voices: Carl Doran, Sean Lynch) produced during the 2014 Welcome to the Neighbourhood residency, Askeaton Contemporary Arts, Limerick, curated by Michele Horrigan. 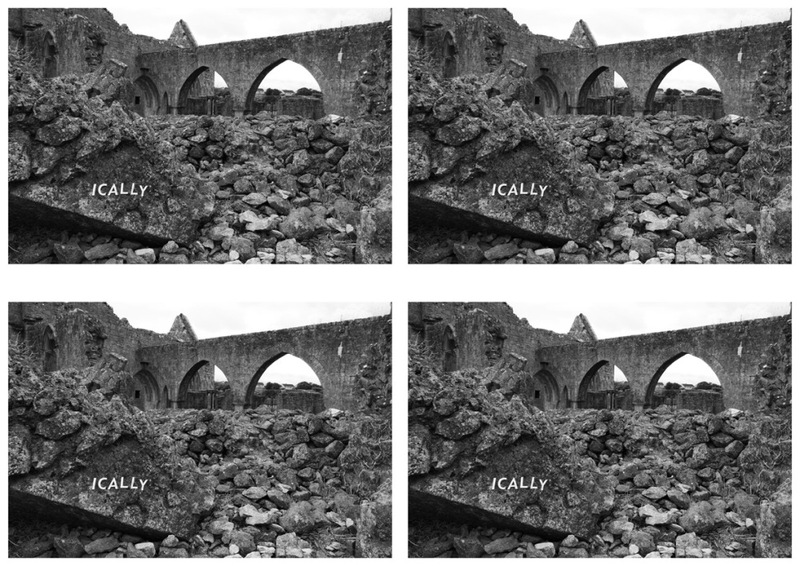 Sited in The Franciscan Friary and interweaving excerpts from Aldous Huxley's seminal novel The Doors of Perception, 1954, with newspaper accounts of the Limerick Meteorite Fall of 1813, IC ITE OID injects a psychedelic cosmic sensation into Askeaton's famous ruins and imagines the collapsed friary tower as meteoric stones fallen to Earth. 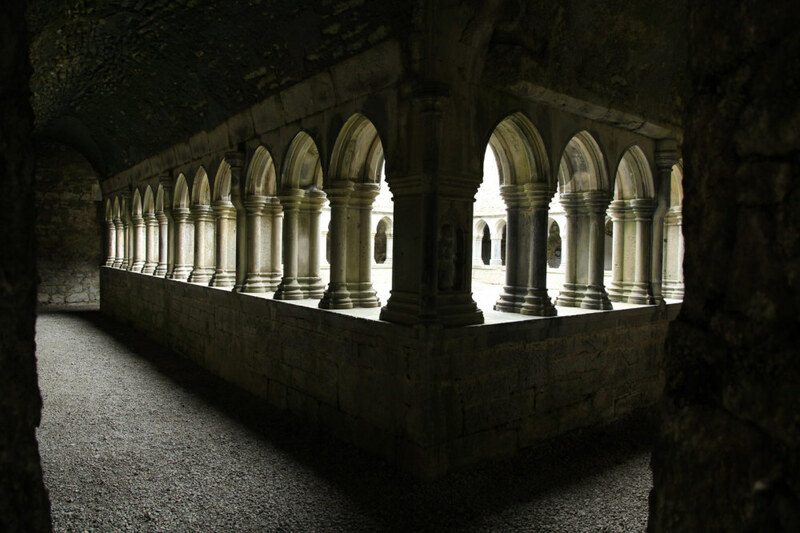 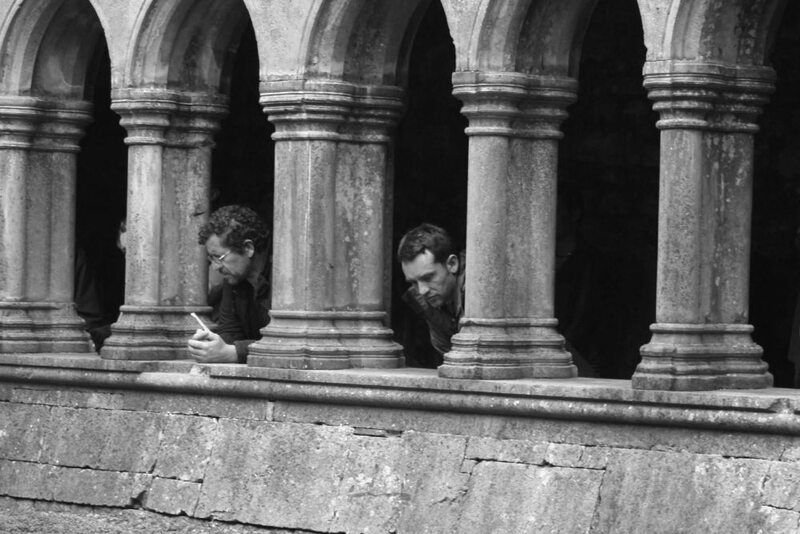 To an assembled audience gathered in the friary cloisters, the audio piece IC ITE OID is played; the acoustics and architecture enable the audio to be magnified and projected throughout the space. 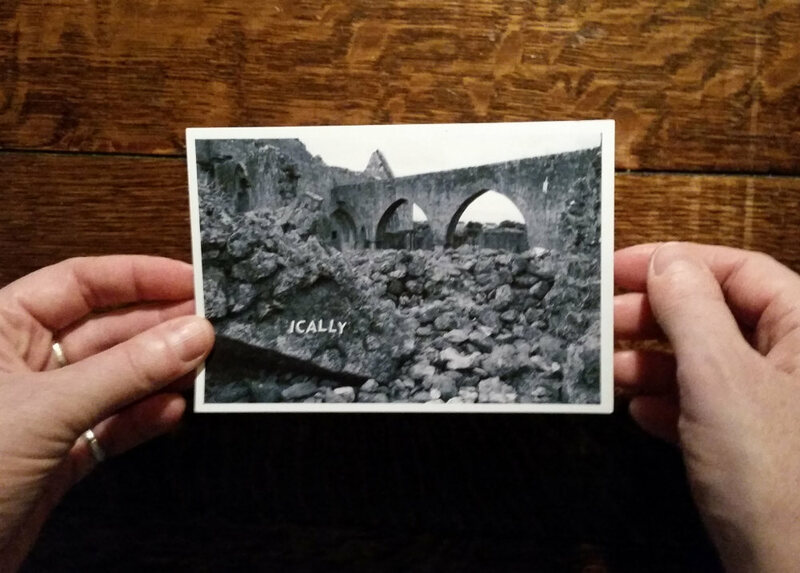 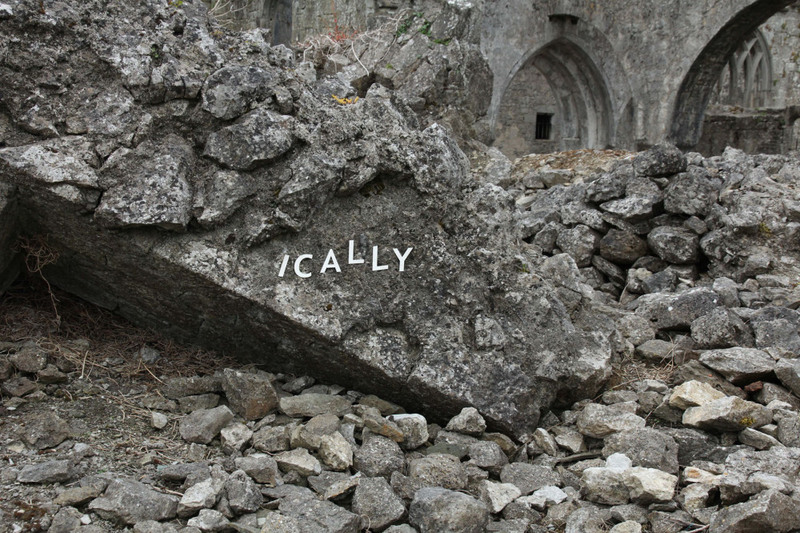 As the audio reaches its repeated end chant of IC ITE OID the artist lifts the portable CD player and with the chant continuing, leads the audience through the ruins of the friary to the landscape of the collapsed tower. 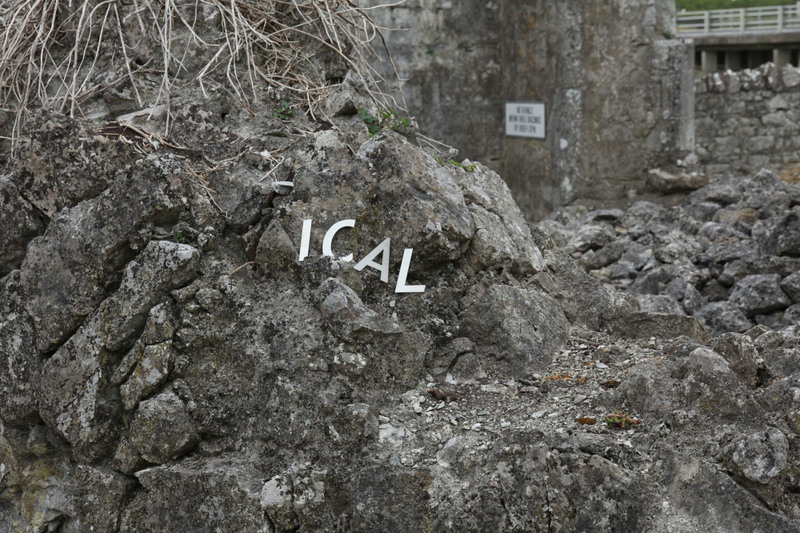 The chant continues as the audience contemplates the fallen rocks of the tower, on which steel letters spell out a series of suffixes; IC, ITE, OID, ICAL, ITICAL, ICALLY. 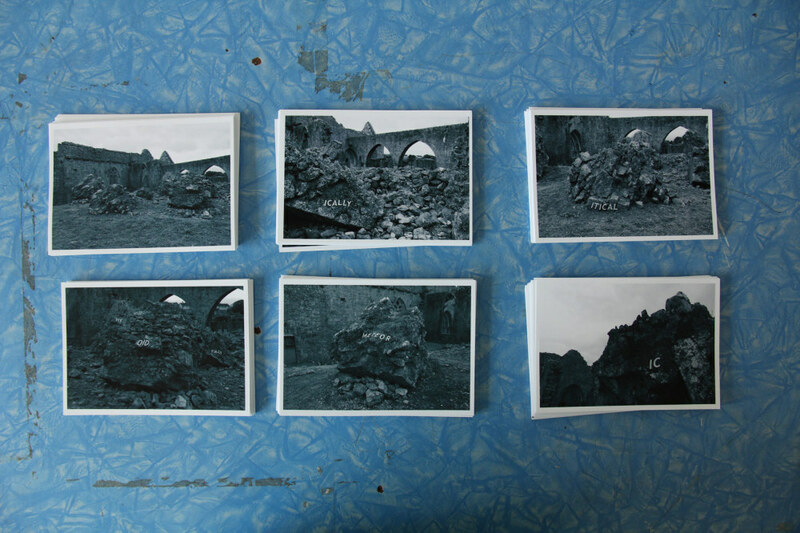 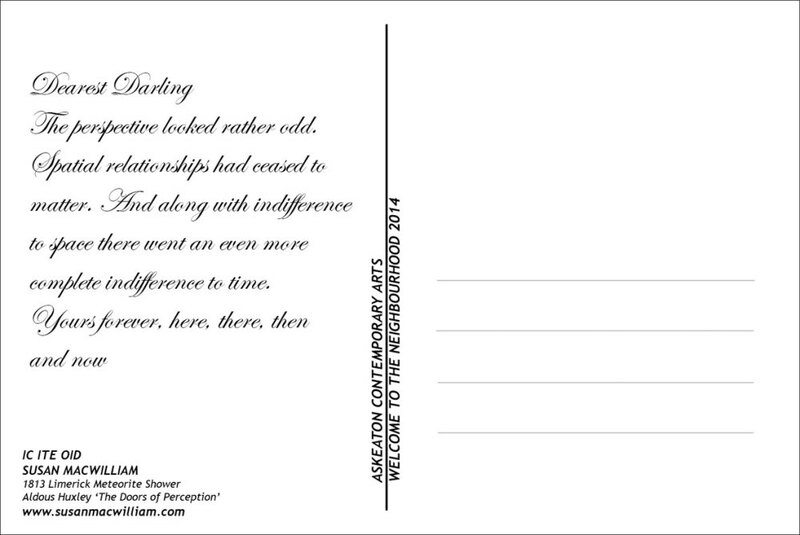 As the audience leave the grassy landscape and descend the steps the artist hands each a souvenir postcard.